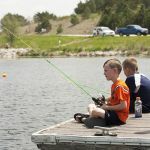 Ask fellow campers about "Summit Lake State Recreation Area" and nearby attractions. This is a small recreation area that doesn't take reservations. The sites are well-spaced and level. Some sites are on the lake. The lake is for fishing, canoeing, swimming, etc. All boats are allowed, but there is a 5 m.p.h. speed limit. There is also a fish cleaning station for those who fish. Thirty of the campsites have electricity, the rest are for dry camping/tenting. 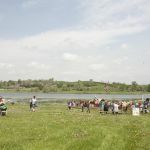 It is a very quiet, peaceful setting, but if you are coming for the weekend, get there early as spots fill up quickly. Our Verizon MiFi worked very well, but AT&T phones did not work at all. 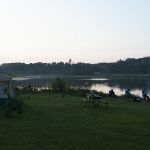 We camped at Summit Lake State Recreation Area in a Fifth Wheel. Try Cottonwood Winery for something fun to do while in the area. 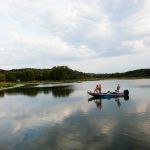 Are you affiliated with Summit Lake State Recreation Area ?